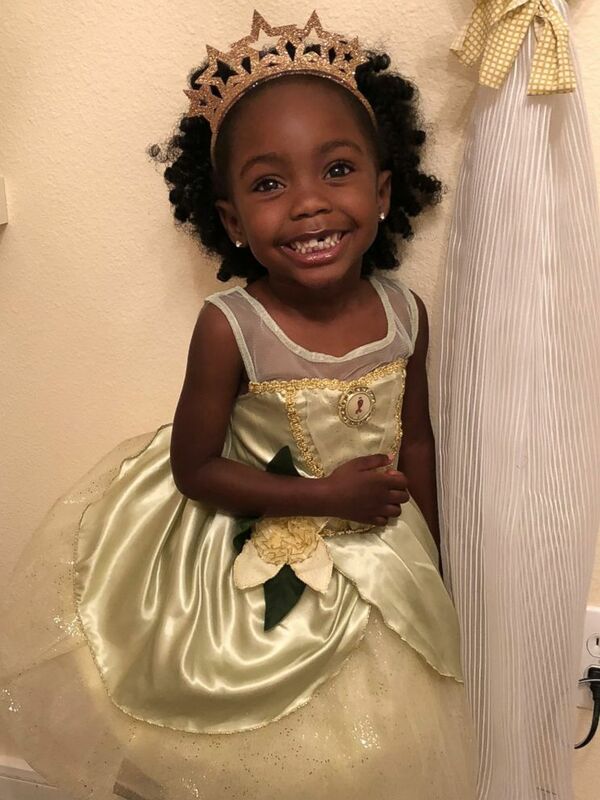 One mom filmed her 3-year-old's adorable response to receiving a Princess Tiana doll. 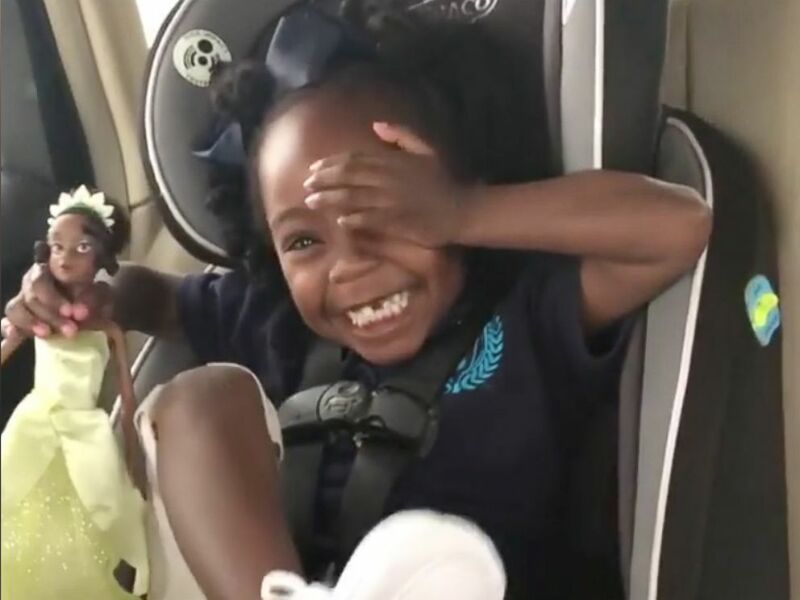 Janess Strickland of Houston, Texas, told ABC News that she gave the doll to her daughter Madison Jade as a gift on April 13 after picking her up from school. "I love her so much because she has chocolate skin like me!" Madison said in the video. Strickland said she bought the Tiana doll after Madison said a boy at school asked why her skin was darker than his. Madison Jade Strickland, 3, poses in a recent photo with her Princess Tiana doll. "He's just being innocent, he's 3 as well," Strickland said. "I don't think he meant anything by it. I just told her that her skin is beautiful and that's what makes her special and I told her there were princesses that have chocolate skin as well." Strickland posted a video of the moment Madison received her new Tiana doll onto her Instagram page. 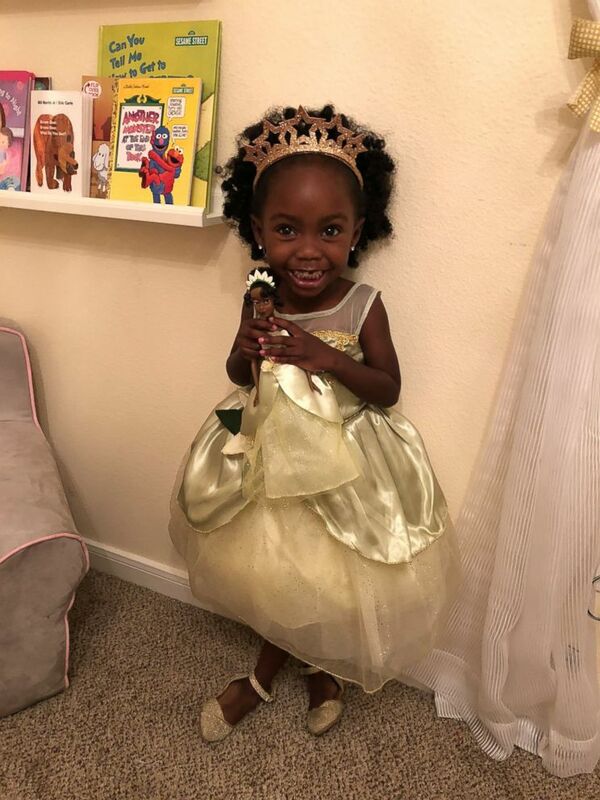 Janess Strickland filmed her daughter, Madison Jade Strickland, 3, as she received a Princess Tiana doll on April 13. "I think it's a teachable moment for people," Stickland said. "It was something that was so simple for her, but I think she'll remember it." Strickland said Madison has since been watching "The Princess and the Frog" on repeat and hopes to meet Tiana at Disney World someday. Madison Jade Strickland hopes to meet Princess Tiana at Disney World someday. "I think she would pass out, but I think that would be a good next step," Strickland joked.